Living Miracles is a group of devoted brothers and sisters who live simple devotional lives. They host retreats and travel where invited to share gatherings that inspire and bless all who seek peace of mind and Enlightenment. Acknowledging that truth is in the Mind, they offer an invitation to engage in the uncovering of the beliefs that seem to obstruct the awareness of Love’s Presence. They are joined around the world by others who choose to live a life of service and devotion. These long term residents and volunteers are truly a gift from God and reflect the deep commitment to Awakening. David Hoffmeister is a living example of the teachings of A Course in Miracles and Self-realization. He teaches from Awakened Mind, shining the Love of God wherever he is invited in the world. His gatherings are open discussions, and coming together with him gives people a chance to bring their greatest concerns and deepest questions to one who answers from a perspective entirely beyond the personal. His websites have a variety of inspiring, enlightening, and free resources, along with the most profound Self-realization writings on the planet. David has thousands of archived messages on the internet, written from the Holy Spirit as answers to questions sent in to him from around the world. His YouTube videos (channel 1 and channel 2) are truly eye-opening. Michael has a gentle, easy presence while remaining focused on his single goal of “the Peace of God”. He has given his life over completely to the Spirit, strengthening in trust and devotion. 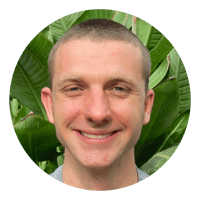 Michael has a natural stillness and depth from which he loves to share about his experiences, and happily extends David Hoffmeister’s message through distribution, SEO and many other avenues. Jackie is a consistent presence of openness and love. Her natural state of joy and peace come from the depth of direct experience of the Spirit, and she invites those around her to join in this loving presence. Her journey involved the study of many spiritual pathways, culminating in a deeply committed practical application of A Course in Miracles. Jackie’s invitation is that you join her where you can feel safe to be who you are, and to melt into an experience of peace. Peter is a gifted creative artist. His gifts are used in many of Living Miracles multi-media resources, and his flair in graphics are reflections of his purity of heart and humble devotion to the guidance of the Spirit. He loves collaborating with others in the creative process and is a delightful presence flowing with his current tasks whilst emanating stillness in his activity. 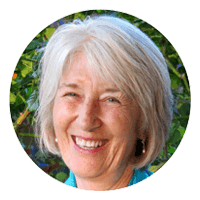 Based on the teachings of David Hoffmeister and A Course in Miracles (published by the Foundation for Inner Peace), we are a group of people who recognise that awakening is not a casual endeavour, but one that demands a deliberate and uncompromising commitment. We provide gatherings and retreats around the world, as well as newsletters, books, videos, music, and hundreds of free online resources. Click here for more information, and to join us from your own home. https://a-course-in-miracles.org – Free downloadable MP3 and podcasts from David Hoffmeister’s gatherings around the world. http://acim-conference.net – David Hoffmeister’s events based on A Course in Miracles. Find out when he will be in your area next and the ACIM conferences he is speaking at! 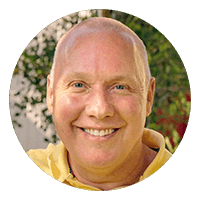 https://acim-online-video.net – Join David Hoffmeister, author and A Course in Miracles expert, as he supports your growth with ACIM transformational videos. https://acim.biz/a-course-in-miracles-book-acim – What is A Course in Miracles? Here you will find complete online access to the A Course in Miracles book, Text, Workbook, and Manual for Teachers together with original guidelines, principles of Miracles, and commentary by ACIM teacher David Hoffmeister. https://acim.me – Online podcasts, radio gatherings and non-dual and A Course in Miracles teachings along with questions and answers to many different themes from David Hoffmeister’s travels through many countries and continents throughout the world. This is a very user-friendly site to navigate and find just the right teaching for where you’re at now! https://acimcourses.com – The Doorway: Four self-study premium online courses from David Hoffmeister to deepen your experience of A Course in Miracles. These ACIM-inspired courses provide you with a multimedia platform including deep teachings, Awakening movie sessions, inspired music, and insightful assignments for an in-depth understanding and experience of what the Course is pointing us to. https://acourseinmiraclesnow.com – Fully searchable A Course in Miracles online. Includes the Text, Workbook for Students, Manual for Teachers, and Clarification of Terms. https://awakening-mind.org/resources/a-course-in-miracles – A Course in Miracles online. Brought to you by the Foundation for the Awakening Mind. https://davidhoffmeister.com/david-hoffmeister-the-message/metaphysics-of-a-course-in-miracles – Come to a comprehensive understanding of the metaphysics of A Course in Miracles through a combination of audio/video resources and Q&A dialogues with David Hoffmeister. https://livingmiraclescenter.org – Living Miracles US: Free David Hoffmeister audios, videos, music, and many different A Course in Miracles topics to help you on your awakening path to salvation. Come and see all that we are involved with around the world! http://nonduality.xyz – Reaching the end goal of enlightenment via the non-duality teachings of David Hoffmeister and A Course in Miracles (ACIM). https://nondualityonline.com – Tabula Rasa Mystery School: A 30-day curriculum to accelerate your spiritual awakening!